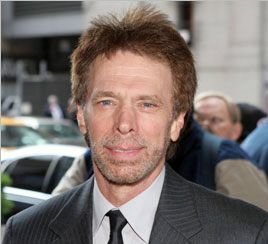 At today’s junket for Confessions of a Shopaholic, we were fortunate enough to get some one-on-one time with über-producer Jerry Bruckheimer. 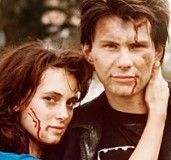 Bruckheimer is straying from his usual testosterone-and-explosions formula with the decidedly more chick-flick-y romantic comedy, so we discussed what it was about this story that lured him from his well-trodden path. 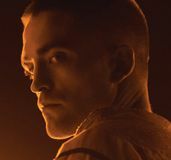 More importantly, we also made sure to check in on his upcoming projects. Bruckheimer has the high profile Pirates of the Caribbean IV, The Lone Ranger, The Sorcerer’s Apprentice, and The Prince of Persia all in the works—as well as several television shows. We got the scoop on all of them, including what stages of development they’re all in and whether or not we might see him using one of them to make the transition to IMAX. Perhaps most exciting was just the chance to get to see first-hand what makes one of Hollywood’s biggest producers tick. In short: if you want to know his biggest secret as to what he thinks makes a movie good, it is: story. Bruckheimer is efficient (note the quick, concise answers). He knows what he wants, knows what’s important to make a movie work, and goes for it. CONFESSIONS OF A SHOPAHOLIC opens Friday, February 13, 2008. Question: Congratulations on a very exciting movie. There were a lot of young enthusiastic women in the audience. 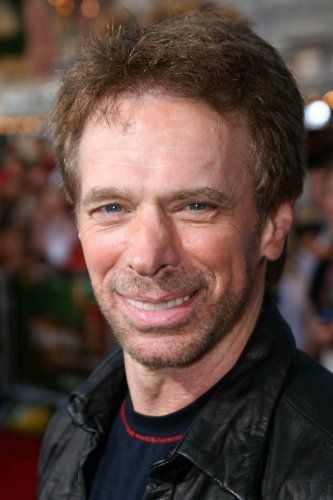 JERRY BRUCKHEIMER: I love them. Can we talk about this being a departure from your standard? JB: I’ve done this a few times before. We did Flashdance 25 years ago and Coyote Ugly. They are both empowering women stories as this one is. It’s about a journey of a young girl who’s got problems. Problems with her shopping addiction and problems with her job. It’s empowering how she pulls herself out of this and finds romance in the course of it. What made you want to do this story in particular? JB: I love the character. I really do. JB: Of course. We were given the book. It’s not like I found it. So you read the book and you were excited about the character. JB: The character is fantastic. This was a big book, so it lends itself to being a big property. Is that what appeals to you about a story? JB: Character, story, themes. All good things. Do you use a different muscle to deal with the more female stories? JB: Not really. It’s the same. It’s all about telling a good story, interesting characters. The filmmaking process is the same. Obviously you are one of the most well known, if not the most well known producer. What is it that you do differently? What is your magic touch? JB: I love what I do. I love it. I work really hard at it. That’s it. Mixing that with your natural aptitude? JB: Well, I love movies. You work at your craft long enough, hopefully you’ll figure it out. Are you very involved in the casting process? So you’re very hands on for everything. JB: Yes, the entire thing. What spoke to you about Isla for Confessions? JB: I saw her in Wedding Crashers and thought she was brilliant, so that’s a good start. I met her socially and told to her about this project. She doesn’t even remember that I talked about it. I just felt knowing her not on camera, I felt she had those qualities. JB: For this character, that she could play this character. She’s vivacious, she’s funny, she’s a wonderful dramatic actress, she has great physical comedy. Did the script initially call for a lot of the physical comedy or did you add that? JB: Well, we always wanted to make people laugh. [Director] P.J. Hogan in particular loves comedy, so he certainly pushed it in that direction. People are also very excited about several of your other upcoming projects. JB: Good. I hope so. 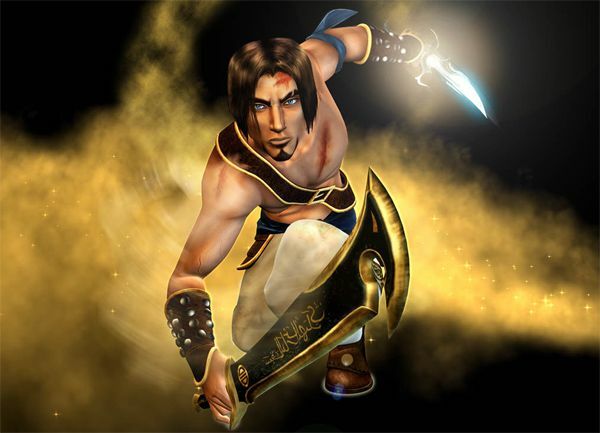 Are you planning on breaking the video game curse with Prince of Persia? JB: That I can’t predict. I have no idea. I just know we have a really good story and we have a great cast and a brilliant director. I’ve got one of the best cinematographers in the world doing it, so it’s going to look great. 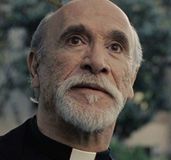 I know the acting’s going to be really good. Whether people go see it—your guess is as good as mine. I spoke with Mike Newell last year when he first signed on. That’s an interesting choice. JB: Yeah. He’s very talented. JB: Big adventure. Well, it’s about character, and he understands character, story. That’s the main thing for me. The rest you can figure out. Character and story is what matters and the rest is icing? Are you contemplating going the route of Dark Knight and Transformers and using IMAX for any of your upcoming movies? I know you’ve mentioned possibly using it for Pirates IV. JB: We haven’t talked about it, but I’d love the ability to be able to do it. It seems like it would lend itself well to them. But you haven’t decided. JB: We’re too far away. Persia doesn’t come out until summer of 2010. I wasn’t aware you could do that post process, because as I understand it Persia is completed. JB: Yes, it’s finished. But I think you can do it afterwards. I couldn’t swear by it. 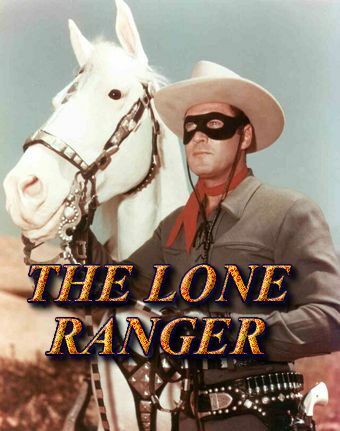 How close are you to making casting announcements for Lone Ranger? I understand Johnny Depp has been cast. Are you close to making any of the other casting announcements? JB: No. We haven’t finished developing the script yet. Pirates of the Caribbean screenwriters Terry Rossio and Ted Elliott are doing scripts for both Pirates IV and Lone Ranger? What made you choose them to do Lone Ranger as well? JB: I’d love to do every movie with them. I think they’re so smart. They’re such, they have such inquisitive minds. They love films, they have phenomenal knowledge of film—the history of film, various films, a great memory for stories and characters from previous movies. They understand why certain movies work and why other movies don’t work. They’re brilliant. It sounds like once you find someone you like to work with, you enjoy working with them again. JB: Yeah, when you find somebody who’s talented, you want to keep working with them. It’s as simple as that. I’ve made five or six movies with Nic Cage and I love him. We’re about to start Sorcerer’s Apprentice in March with Nic and Jay Baruchel. We’re about to start casting other characters. 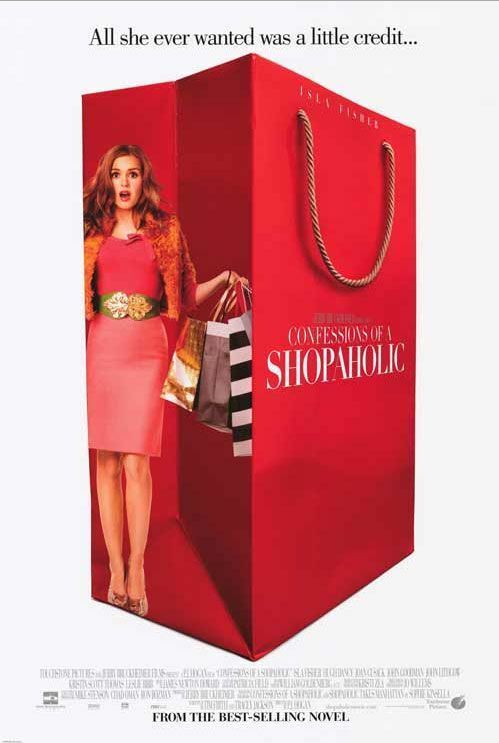 Do you feel you got an education about fashion working on Shopaholic? JB: Oh absolutely. Patricia Fields is amazing. She really is. She has such great style and taste. It’s all based on character. She really gets to know the characters, talks to the actors, tries to find out what they feel comfortable in, then she creates these things. If you listen, there’s a story behind every article that she puts on the character, why she does it, for what reason. This is the perfect movie for her. You’ve got your hands in so many things. You also have a lot of television projects. JB: We have the Eleventh Hour, which is a new show for CBS, right after CSI, with Rufus Sewell. And CSI is yours as well, so you’re just going to line up all your properties together. 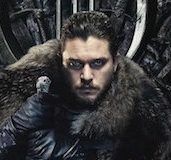 JB: For HBO. It’s about Miami in the ‘70s and ‘80s when all the drugs were coming in. Do you have any casting for that? JB: No. We’re just developing the screenplay. Meredith Stiehm who wrote and overseas Cold Case is writing the script. Is it going to be factually based? JB: Yes. Well, we’ll fictionalize the characters, but based on…. An amalgamation of characters, but based on what happened during that period. You have so many irons in so many fires. How do you manage being so extremely involved? JB: I have great people working with me. I really do. I delegate. Television runs itself. I mean, I watch every episode and read every episode, but they do their own thing. Once we have the series cast, cast the series regulars—I get involved I that. But I don’t get involved casting the weekly episodic actors. They write their own stories. I just read the screenplays. So, do you consider yourself more of an idea person, involved to get stuff off the ground? JB: We shape it. We shape it. We put the talent together. We find the writers, we find the director for the pilot, the designers, cinematographers. We surround the group of people we think are talented. JB: Exactly. Watch a lot of stuff. That’s what we do. Do you come up with the ideas for the movies and television shows? JB: Some. It comes from everywhere. Shopaholic was a book. Prince of Persia was a video game. Pirates was based on a ride, which really had nothing to do with the ride. Some producers are very involved with shaping stories. Do you get very involved? JB: Our guys develop the material. It gets to me in a certain phase. I’ll give them notes. I’m involved, but I’m not sitting in the room with the writer for 8 hours. Were you more involved at the earlier part of your career? JB: Somewhat. And when it gets closer, I’m very involved. Once we have a director involved, I’m very involved. Are there a lot of changes, typically? So you get to the point where you buy a script, and then you work with the writer or director to make changes as things go through. JB: On that particular project, yes.